Stephanie Nash is a Mindfulness Coach and Integrative Counselor who has been teaching mindfulness since 1999 – especially the Unified Mindfulness system developed by Shinzen Young (with whom she has worked closely and) whose techniques and strategies have become an integral part of her personal experience as well as her teaching. Today, in addition to presenting mindfulness to corporate, educational, psychology, and religious conferences through her Strategic Mindfulness company, Stephanie speaks and gives interactive presentations on the themes of stress reduction, creating ease & well-being, and living a mindfully embodied life. In addition, Stephanie has developed a unique kind of laughing meditation which she has presented at many of Shinzen’s retreats, in addition to her own workshops, and also when asked to be a guest expert on a Deepak Chopra show. Steph often incorporates mindful laughter into her Stress Reduction presentations and programs. There are several YouTube videos of workshops where she has presented it, and laughter has also been incorporated into one of the meditations she offers on the Brightmind app. 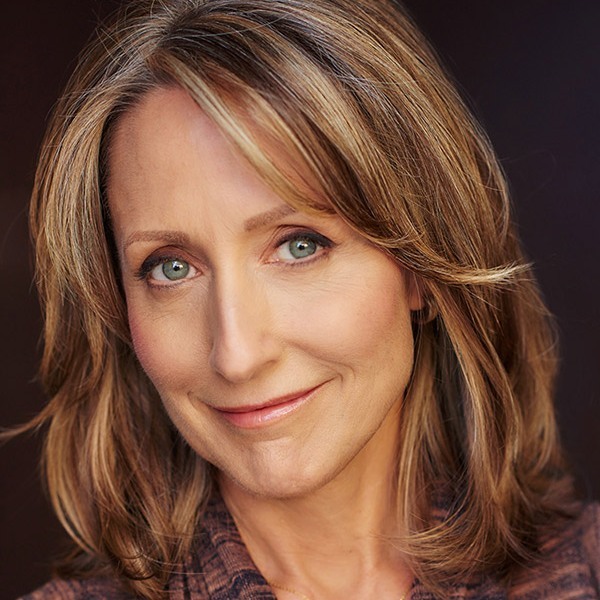 At UCLA’s Social-Emotional Arts program, Stephanie teaches mindful presentation and mindful communication skills to instructors and administrators, and privately she works with performers, athletes, executives – and anyone who needs to perform effectively in front of others – to work mindfully with emotions, thoughts and physical experience when under duress for maximum performance and efficacy. Stephanie has also worked extensively with Mindful Eating (sometimes called Conscious Eating) workshops, in person and via phone or skype (with participants in their own kitchens), where the process of preparing, eating, and being around food is approached with a mindful awareness and appreciation – leading to richer fulfillment and less driven & unconscious behavior. Steph has also presented this work to health organizations, dining clubs, social groups, and on various radio & web programs. She is currently in the planning stages of a potential mindful eating & cooking television program. Stephanie offers private sessions at her studio in Santa Monica, CA or via Skype/phone. And, in addition to coaching artists, executives and professionals in how to use mindfulness to enhance their creativity and productivity, Steph also helps individuals use mindfulness to deal with challenges like physical pain, emotional trauma, and overwhelming stress – in addition to helping experienced meditators enhance and deepen their practice. Stephanie began interviewing Shinzen for radio in 2001 – and later did video interviews for the Shinzen Videos Youtube channel she created to spread his work. Interviews with other established teachers like Upasaka Culadasa, Leigh Brasington, Ken McLeod, and others are also on that site as well as on Steph’s own Youtube Channel, which also includes her own teachings. Through her non-profit, Mindfulness Arts, Stephanie is able to offer special programs for the community, in addition to her 2 YouTube Channels, and MP3 recordings of guided meditations can be downloaded from her site, MindfulnessArts.org/blog – which, yes, also has blog posts on there about mindfulness in life. Stephanie also has several popular meditations available on the Insight Timer app. Stephanie has a BA (in psychology) from Duke University, in addition to her MFA from Yale. Stephanie wishes to extend a deep bow of gratitude to her teacher, mentor and friend, Shinzen Young, and to all who are interested in the path of evolving mindfully to our full potential. She sincerely hopes that her work can in some way help contribute to creating more insight and well-being. How I typically respond when asked what makes my teaching unique – is that I have expertise in 3 areas of experience that gives me a perspective unlike any other mindfulness teacher I’ve ever met. I have spent almost 40 years as a professional working (classically trained) actress, 30 years as an acting teacher, 20 years as a film directing coach (teaching directors how to get good performances from actors), and 17+ years as a mindfulness meditation teacher (where I’ve also had the opportunity to work with researchers.) I also teach body language and expressive movement. Where I grew up there were some boys (and men) who really enjoyed taking cars apart and putting them together again. This usually had nothing to do with the car having a problem, they just liked doing it. If I’d ask them why they did it, they’d usually respond that – by doing it, they really got to “know” that car. I remember thinking that was an odd thing to want to do for no reason, but if I ever had anything wrong with my car – I wanted one of those boys around. You would, too. There are some core themes involved with this – like, for example, when helping an actor create a character who has a problem (which pertains to all characters in drama or comedy – i.e. We are always watching the character on the day that everything went wrong to see how they deal with it) – I am always having them delve into CONTENT: What is the circumstance? What is the history? What are the relationships? What does the character want? How do they try to get it? What is the conflict? What’s happening physically? What’s the story? When helping people dismantle their suffering, we leave content by the side of the road and instead focus on arising & passing of sensory experience – and CONTOUR: What part of the experience is visual? Auditory? Somatic? Where is the sensation? What is the quality of it? Where are the boundaries? Does it move or change? Then, the exact same sensory experience that might have created suffering, can now move towards being a pleasant massage. Both processes – that of creating suffering and that of dismantling suffer – also involve LETTING GO. The meditator must let go of the habit of always noticing (and even identifying with) content or meaning. The actor must let go of habitual tensions and emotional patterns that restrict their ability to embody the thoughts, feelings & movements of the character they are playing. The other significant area in which I have expertise that plays a big role in my teaching – and has been pivotal to my as an actress and an acting teacher – is that of PHYSICALITY and being embodied. As an actor, I had to totally change how I held my body, how I moved it, and how I took care of it – to be able to play roles quite different from my physically tight WASPY upbringing. I needed to play characters who had the physical power of men, or the sensuality of a big cat, or the vulnerability of a delicate child – and none of those would have been accessible to me without breaking through my physical and emotional habit patterns. I learned, through experience, that one’s “sense of self” – as well as one’s health and happiness – can all be so so strongly affected by the care and movement of the body. It is rare for a meditation teacher to have the years of movement and body healing work & study that I have (in various modalities – including Alexander Technique, Body-Mind Centering, Linklater Voice, Continuum Movement, and Feldenkrais) – much less the practical application of body language as an actress. At UCLArts & Healing, I have taught a very popular class called Shifting Positions to Shift Perceptions: How Your Body Language Affects How You Think and Feel. When giving public talks or presentations, I will often demo – and have the audience try – different body positions and movements to see how they feel – as much as what they communicate. Everyone is always amazed at how a simple shift in physicality can affect well-being so quickly. One example I like to give is that it is much harder to be depressed when the body is aligned and the shoulders are resting back and down – with the chest open. (And, yes, it is easier to become depressed when the shoulders are rounded forward and the chest is collapsed.) The “tail” can indeed “wag the dog.” I have found this information and experience to be invaluable in helping people become more mindfully embodied – whether as actors or meditators. So, in a nutshell, I believe that my experience and expertise with acting and helping actors examine and experience all the layers of our moment by moment experience – along with my years of work with the presence, release and movement of the body which affects one’s relationship to self & world – and, of course, my years of closely training with and teaching for Shinzen Young and his Unified Mindfulness system that brings unparalleled clarity to our sensory experience – all help give me a unique and special perspective on this process of transformation, growth, and evolving into a more liberated experience. And I am always grateful for the opportunity to support this core process in those I work with.